7/1/15 - 8/1/15 ~ . On 12.07.2015 we have successfully completed the home visit of "ADARSH ORPHAN HOME (MATHRU ABHAYA FOUNDATION)" at Medipally Village near Uppal. 1. 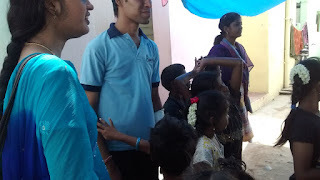 In home there are totally 30 children. 2. 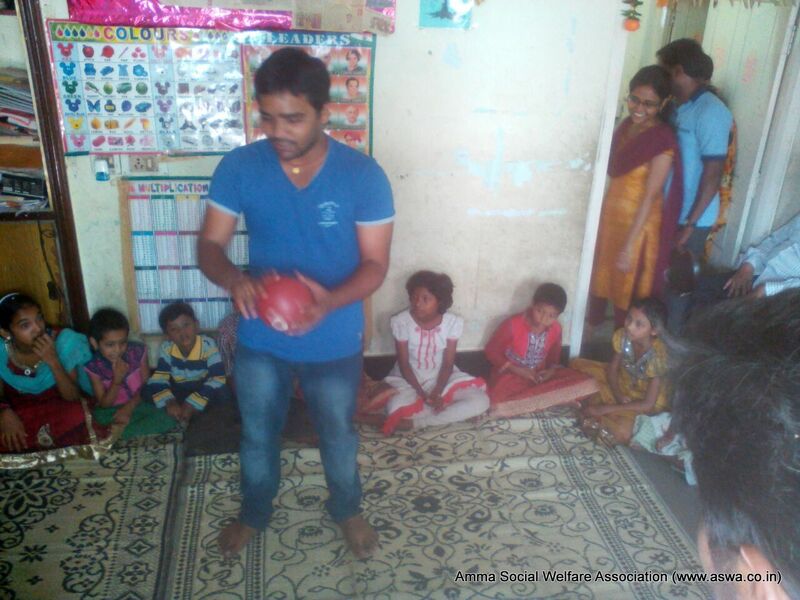 All children and volunteers participated actively in songs, jokes, puzzle game (Podupu kathalu), musical ball game. 3. 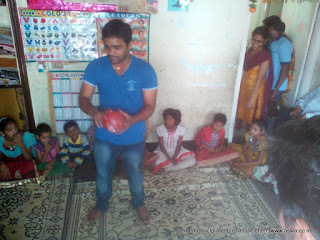 In musical ballgame children and volunteers participated and enjoyed a lot. 4. The children are articulated with good voice, dancing and are much disciplined. 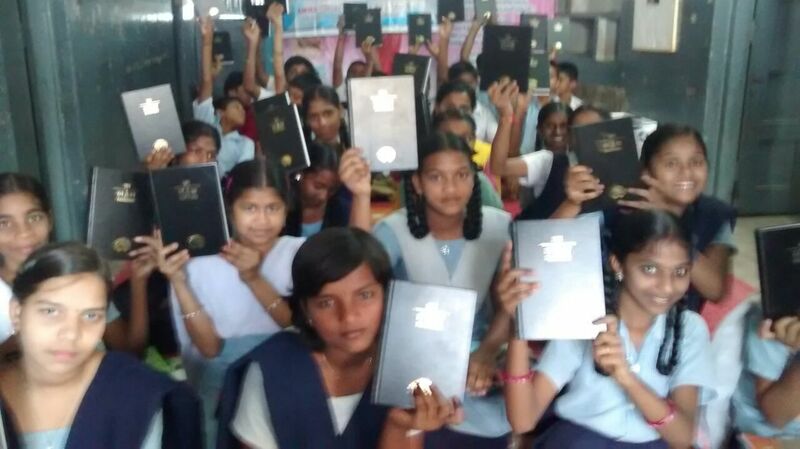 One should obviously get inspired with such children. 5. 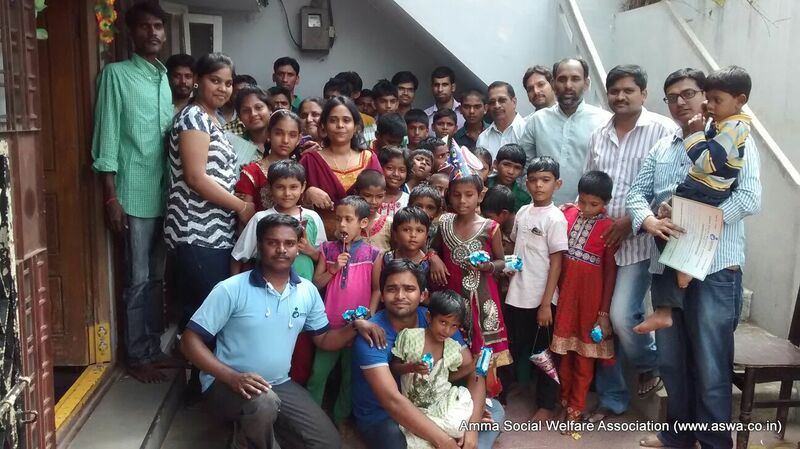 Mr. Prasad (Employee of CIQ) and family sponsored yesterday's food on behalf of their Daughter & Son birthday and they have celebrated the same. 6. Finally we distributed Biscuits, Chocolates and Bananas. 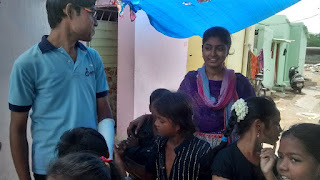 Sudharani, Sunitha, Harsha Kiran and Madan Kumar had sponsored for the Biscuits, chocolates and Bananas. All Volunteers felt happy and there are no words to say about their feelings. The program was continued till 3:00 pm but we never knew the time and felt it was too early to leave. The one who didn't attend the program, have missed this enjoyment, and Happiness…. But don't worry guys we are having the next visit very soon. So be prepared and attend that visit and share your happiness with them. Thanks to all participants and volunteers for making this event grand success. On behalf of Naresh Kumar. It's time for spending time with Uncared and Unloved children. Please come and join with us tomorrow i.e. on Sunday 12th July, 2015 from 10:00am to 12:00pm at "Adarsh Home for Orphans" at Uppal. Please reach SR Nagar Bus stop @ 08:15am or Uppal @ 09:30am. Please come & join with us to make this event grand success. For more info please contact us @ Naresh Kumar - 9666664562 / Help line : 9948885111. Tomorrow(25th July) we will have our regular PDP Session in this school(Govt. High School,Chintal Basti) under VIKAS. ​It's my pleasure to inform you that there was a slight changes in our Management Board. We have reelected our New Executive Body Management Board) in our last Annual General Body Meeting September, 2014, as we do it for every 2 years. Due to different formalities it's got delayed at Registrar of Societies and got approval. Few of our old members are concentrating on their Career and couple of them are unavailable due to their personal obligations. With a view of extending our Span & Activities we have re-elected the following as our New Management Body. The work of the old Board Members is really unforgettable, their dedicated efforts in handling the activities is really inspiring. 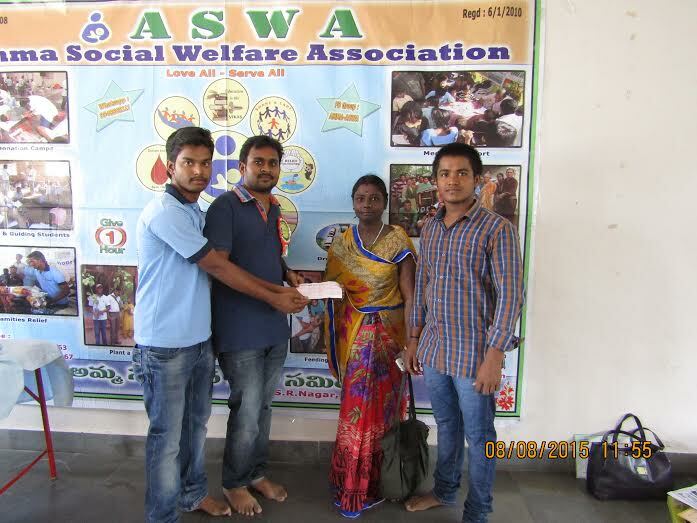 They are one of the reasons for today's Stand & Goodwill of ASWA along with your all time support. ASWA built on direct and indirect selfless efforts of many. Our special thanks to my Uncle Sri. Kuruvada. 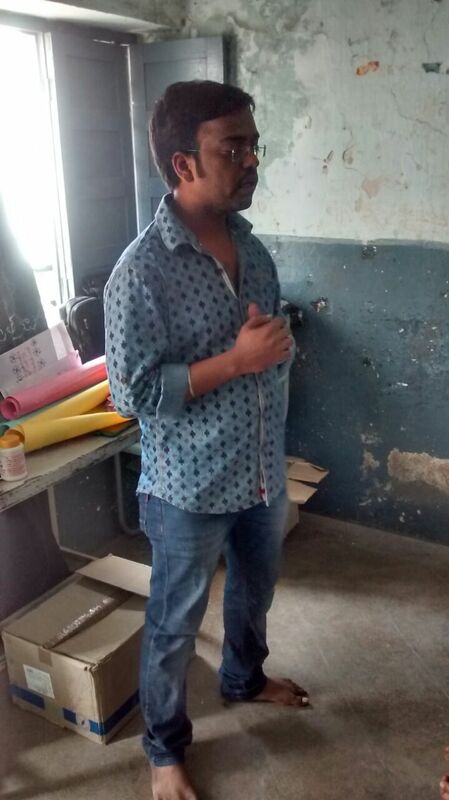 Sudhakar for allowing us to provide his place as our Registration office address. Next session will be conducted on 17th August. 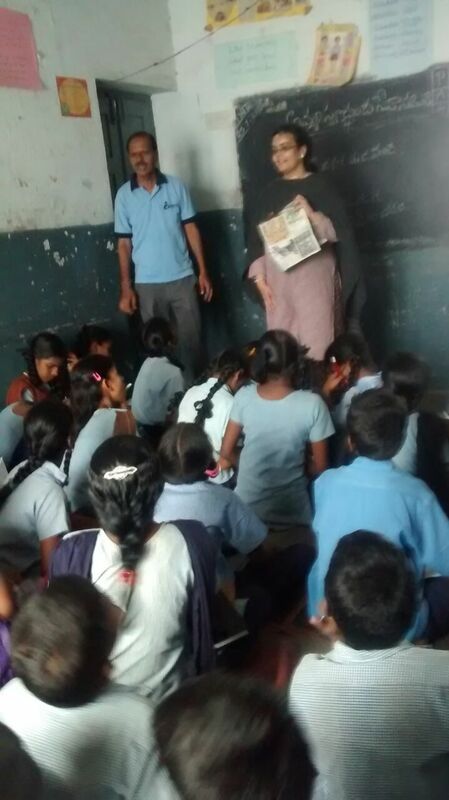 Last year we have conducted PDP sessions in two schools of Mahaboobnagar. This year also we are going to start these sessions in below two schools. Tomorrow i.e Monday 20th July we will start in below two schools. Interested one please reach Nagababu @ 9494567367 or Kishore @ 9951421424. As we all know we have been conducting session on every Monday from fast 3 years @ Govt Boys Elementary School (GBES) under Vikas Primary Project. 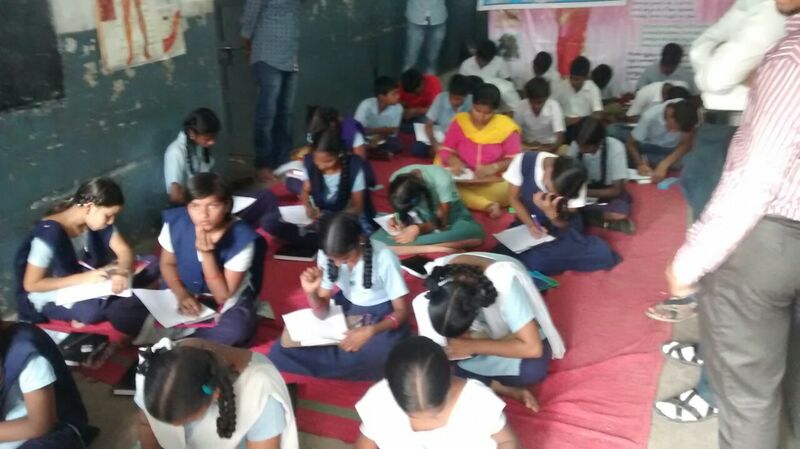 A survey was conducted in a Basti/Slum near Bulkumpet from 9.30 to 12.30 PM to encourage and motivate the parents regarding their children's education. After brief explanation of importance of education, 15 members turned up to send their children to school. 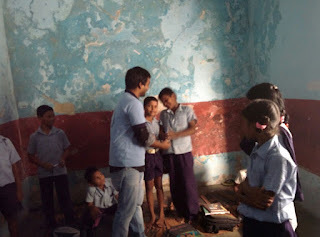 Immediate day 5 Children joined in the School and 2 more joined after couple of days. 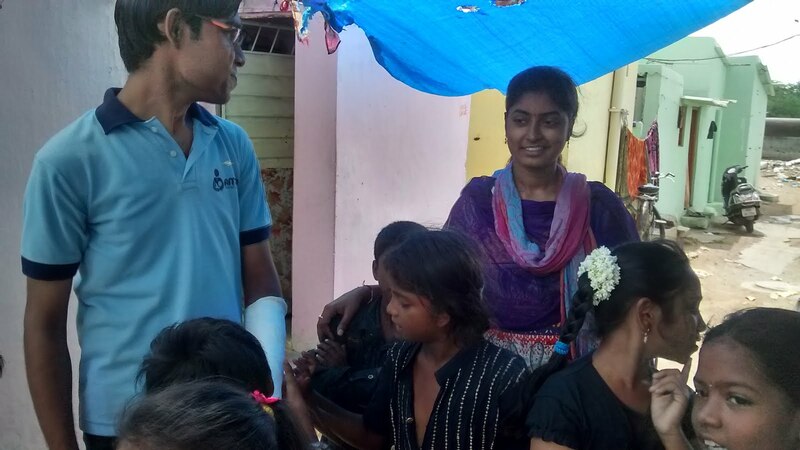 All this Credit goes to the volunteers for their love and passion towards the children and serving others, otherwise they can end the task just by taking class. But all the volunteer put their heart & soul for this Project to improve children. 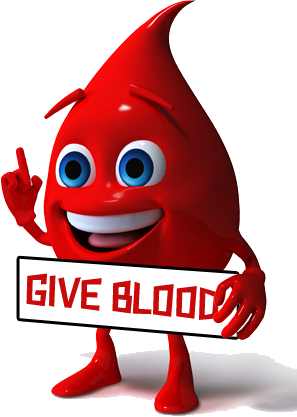 In our 20th Blood Donation Camp i.e. 9th August, 2015, we have donated Rs. 7000/- to Raj Rani, Puranapool for her 3 children Exam Fee Books. We have been extending our support to her from last academic year. Our special thanks to all the donors for their continuous contribution, without which we may not able to reach these kind of needy. We have received a Help Request under Cheyutha, referred by Rohini Counseling Center. 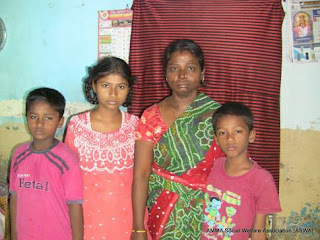 The requester Raj Rani (Ragini) surviving with 3 children (1 Girl of 13 years and 2 Boys of 9 years) is a semi orphan and has no income. Her husband left past ten years back. 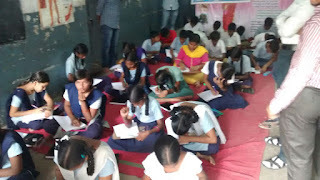 As known by her position school authorities providing education at concession. But she needs to pay for Exam fee and bear cost of Text Books and Note Books for her 3 children. 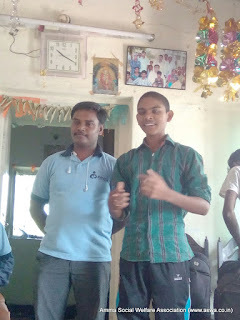 Our volunteers Mr. Naresh (Treasurer) and Ch. Anil verified the case on 15th June and suggested to extend support as her financial position is very bad. She is good at communication and she previously worked in Congress Party office. She has burn marks on her face, with this reason many are not giving employment opportunity. She is good at communication and she can handle Data entry works and writing works. If she provided employment she can live on her own foot. After birth of Nikil and Nithin he left the Home. Previously worked in Congress Party Office for Rs. 2500 pm. She is looking for an employment. She wants her children to be educated well so that she boarded them in Private Schools. She is ready to go with their children if any job available at any educational institution.